Sadly ever after . . . unless some dreams really do come true? Elinor Burkenstock never believed in fairy tales. Sure, she's always been a fool for love-what woman isn't? But Elinor knows the difference between fiction and truth. Daydreams and reality. True love and false promises. . . . Until the unthinkable happens, and Elinor's engagement is suddenly terminated and no one, least of all her fiance, will tell her why. Sir Michael Rollins's war-hero days seem far behind him when, after one last hurrah before his wedding, he gets shot and his injuries leave him in dire shape. 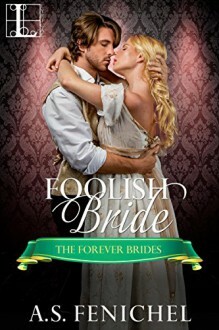 He wants nothing more than to marry Elinor, the woman of his wildest dreams. But Elinor's father forbids it . . . and soon Michael is faced with a desperate choice: Spare Elinor a life with a broken man or risk everything to win her heart-until death do they part?